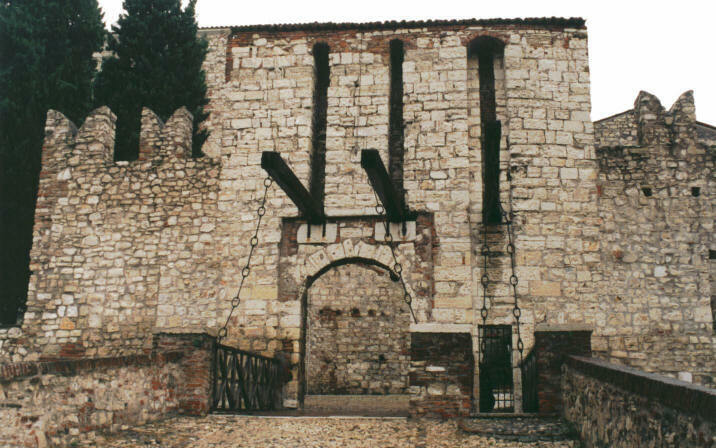 On 30 July 1796, elements of the 18,000-man Austrian column under Field-Marshal Quosdanovich advancing southward west of Lake Garda seized the important logistic center of Brescia, capturing the French garrison of 700 men, a hospital with 2,000 patients, and depots of weapons, ammunition, and equipment. The "Surprise of Brescia" dramatically illustrated the tenuous position of the overextended Army of Italy and prompted Bonaparte to lift the siege of Mantua on 31 July, concentrating his forces for the subsequent battles at Lonato and Castiglione. 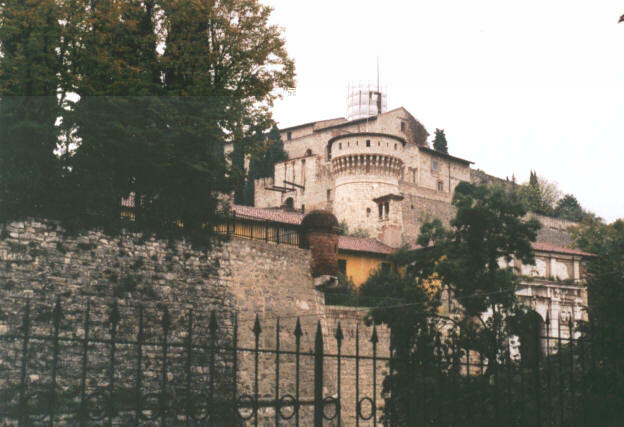 The Castello (Citadel) of Brescia still rears proudly above the bustling modern city. It houses an interesting Museum of Weapons and the Museum of the Risorgimento. The latter illustrates the struggle for Italian liberation and unification in chronological order, with the first room being devoted to the campaigns of Bonaparte. The bridge from left to right. 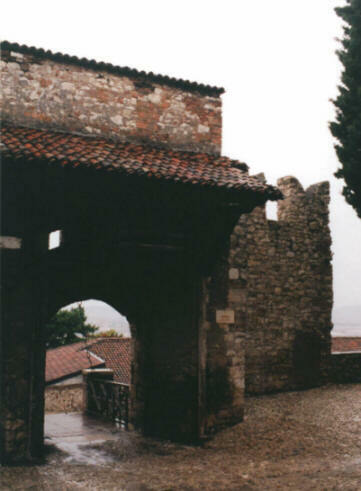 Main gate and drawbridges, Brescia Castello. 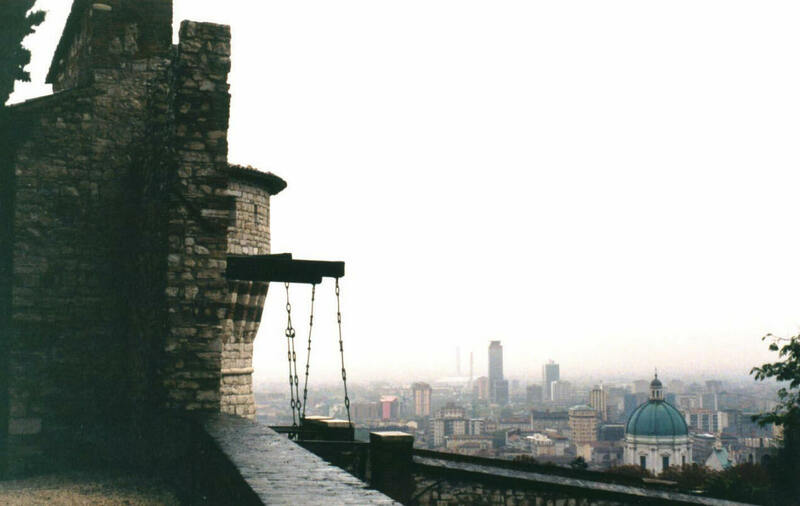 View from Brescia Castello over the city.